How do the Newton Street cells compare with a modern station? Today museum staff visited the custody suite at Newton Heath in order to compare historical cells with their modern equivalent. It was a fascinating visit being taken through the booking in procedure, and seeing how it differs from the Victorian version. The biggest difference was that unlike our Charge Office which functioned as a custody desk and enquiry counter, the two are kept separate in modern stations. Prisoners are now given an individual cell, and there are many safe guards in place for vulnerable people such as low beds and safety blankets that cannot be torn. When Newton Street was opened as many as 12 (possibly more) people would be crammed into one cell, and given bread and jam with tea to eat during their stay. 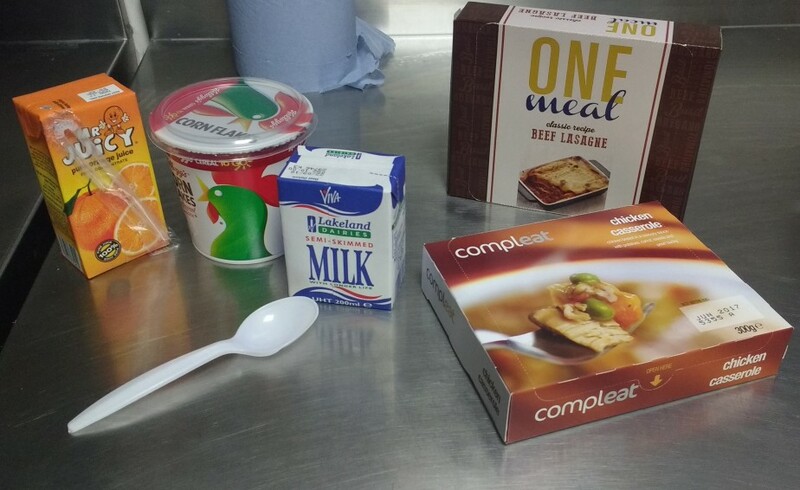 The featured image shows what an prisoner would be offered for breakfast, lunch and tea, along with tea or coffee in a modern station. We would like to thank staff at Newton Heath custody suite for the taking the time to answer our questions and show us round.